I use the term ‘poetician’ to indicate an interest in ‘poetics’ and ‘prosody’ – and in this case, an interest also in the politics of English poetry at the present time’. The term ‘poetics’ is used to describe the study of the principles and forms of poetry. The term ‘prosody’ is used to describe the science of versification and metre. Such studies should lead to a clear answer to the question as to what a ‘poem’ is. or what may reasonably be called a ‘poem’. This is an important question, not least because many people these days do not have a clear answer to it. In its technical sonic and temporal nature, poetry is a craft closely akin to music. Our modern use of the term ‘metre’ refers, in poetry as in music, to the measured flow of sound in time. And the term ‘metre’ necessarily implies the term ‘rhythm’. In poetry the term ‘metre’ refers to the ordering of words into verses which are composed of a certain number of ‘measures’ or ‘units’ which are like bars in music (and which are sometimes called ‘feet’). The measures in a verse-line will generally have a typical, consistent rhythmic ‘pulse’ and mode as in music. In music this mode is indicated by a ‘time-signature’ such as 4/4, 3/4, 6/8, and so on. However, it must be said that in Old English there would appear to be no distinctive word or term for ‘rhythm’: the rhythmicality of ‘song‘ and ‘leoþ‘ is implied, and thus we may reasonably expect an Old English poem to have a consistent rhythmic mode. To this regulated patterning of the sound, as words, of a ‘leoþ‘ or ‘song‘ or ‘poem’ into measured, rhythmic verses were added other sorts of sonic patterning. In early English, verses had what is called an ‘alliterative’ structure. (The term ‘head rhyme’ is also used for this system.) Later, systems of end-rhyme were developed. These patterned characteristics, of measured verses, in related sets, with a consistent alliterative or rhyming structure. were and still are the primary characteristics of poetry and poems, giving them what may be called ‘significant form’. Poems have of course always displayed other characteristics such as ‘concentrated and heightened language in which words are chosen for their sound and suggestive power’. However, these less regularly-patterned features, though important to the whole nature and evaluation of a poem as a literary work, are secondary and not defining characteristics, not least because ‘poetic language’ of one sort or another may occur in prose work. Poems are made to be performed. either aloud or internally. to be ‘played’ rhythmically, like music, on the ‘instrument’ of the voice. The temporal and tonal form of a poem is as important as what the words of a poem may say and be thought to mean. 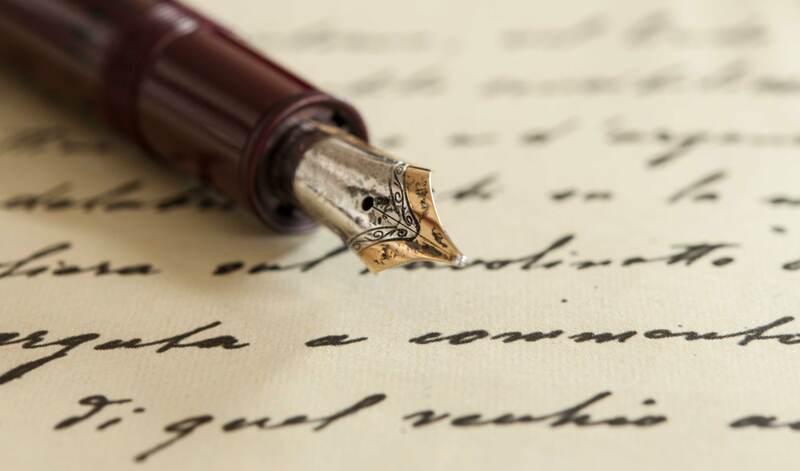 Poetry written in any age is better enjoyed and understood when we are able to perform the verses so far as possible in their original tones, measures and rhythm, in the manner that their maker intended. Indeed, I would say that we cannot know and understand any poem fully until we are able to so perform it. Through the repeated overt or covert recitation of a poem, the simple or more complex meanings of the words become synthesized with the patterned, rhythmic measures which inform the verses, to give an especial pleasure to the whole being. The metred verses of what I call a ‘true poem’ move in a measured way by means of ‘beats’ or pulses (or, as is often said, ‘stresses’). This is the basis of what I call ‘the songness and dancingness’ of verse. These beats are to be thought of and performed more or less ‘isochronously’ – that is, evenly spaced in time. I say ‘more or less’ evenly spaced because the elements of language are not, for one thing, as simple and discreet as musical notes; and because, secondly, the expressive use of language which also characterises poetry often results in a less strict keeping of time (though the notion of isochronism should always inform a poem in performance). So, regarding the scansion and performance of English poetry, I propose that the most simple and comprehensive way to describe and account for the metrical shape and movement of a poem is what I call a ‘musicalistic’ one: that is, a method that applies musical time-signatures and measured analysis and notation. Using such a system enables us to be specific about the rhythm of a piece and to indicate to a performer how to keep time. I hold that the predominant rhythmic tendency in English poetry from its beginnings has been one that is analogous to the 6/8 mensural mode found in music. This analysis provides a technical definition of a ‘poem’ in English. This definition may well, when translated, be found applicable to analogous literary things in other European languages, and perhaps even more widely still. A very useful distinction has long been made in poetics between matters of ‘form’ – the abstract, sound-patternings in verse – and ‘content’ – matters of the meaning of the words of which the verses are composed. The analysis also calls into question the meaningfulness of two terms now used in poetics. The oldest, ‘free verse’, is a contradiction in terms. A ‘verse’ is, by technical definition, a regulated, metred member of a set of related verses: it cannot in any meaningful sense be ‘free’. Likewise, the second term, ‘prose poem’, is a contradiction in terms: a ‘poem’ is in verse; ‘prose’ is not. In English today many of the things published and presented now as ‘poems’ do not have the original, primary, formal and defining characteristics that poems have long shown. To avoid nonsense and confusion it would be best, in my view, that these less structured literary things be called something other than ‘poems’. My original ‘Manifesto’ (On English Poetry and Poems) was first published as a contribution to Quest, the journal of The Queen’s English Society, in 2006. A subsequent lecture-performance that I gave to the London Branch of the Q.E.S. was reviewed in Quest in 2008. The Observer newspaper picked up on this, and an article appeared on the 13th of April 2008 under the headline ‘Poetry guardians reject modern verse.’ This article may be viewed by clicking here. The following day the B.B.C. Today programme interviewed Dr. Bernard Lamb, President of The Queen’s English Society, and Professor Michael Schmidt. A transcript of the interview and my analysis of it are available here. Previous PostPrevious Famous Seamus: Shaman or Sham? Next PostNext ‘Prosetry’? ‘Pretendery’?…or ‘Poemaletry’?